If you have a blog, may it be on Blogger, Wordpress or Tumblr, or you plan on starting a blog and you also want to get trendy clothing items and earn while you're pursuing a hobby, I’m encouraging you to join the SheInside Publisher Program. What are the perks of being a SheInside Publisher Program member? 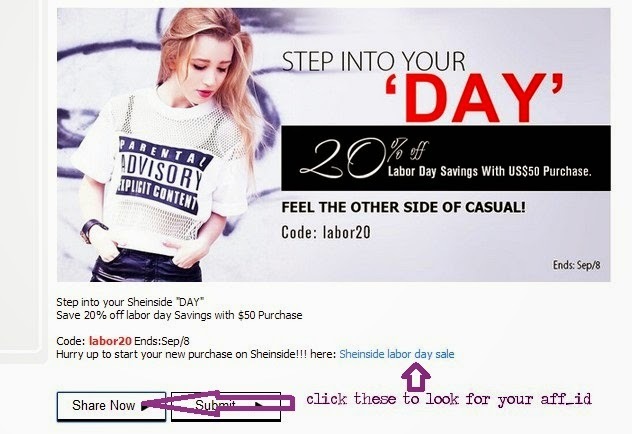 - You get to earn a very competitive commission and gain additional $$$ when you blog about and promote in your social media the latest promotions and sales from SheInside. 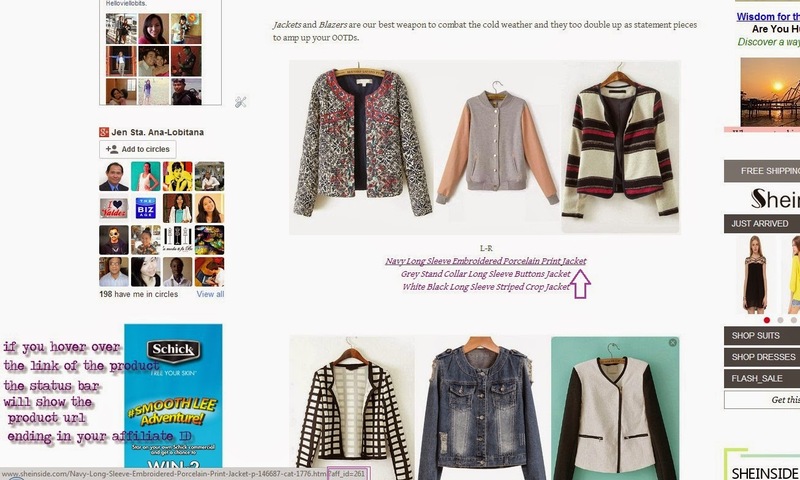 2) You need to share one SheInside Promotion and atleast 3 products on your social networks (preferably on your blog). 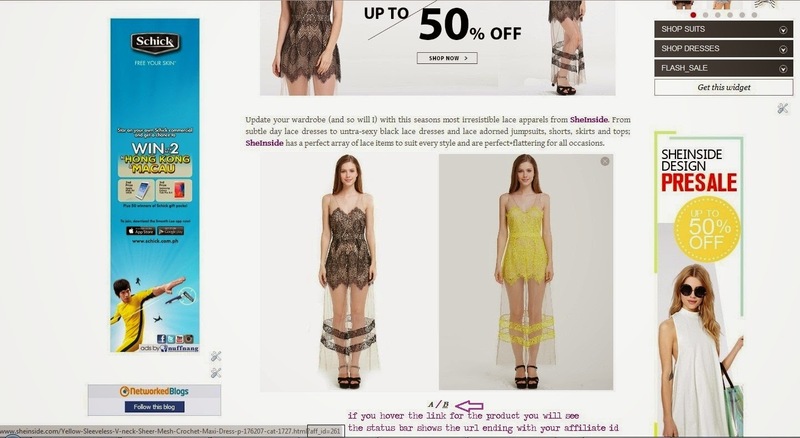 You may also make a blog post about your SheInside Wishlist if you want to. >> Prep For The Sweater Season with SheInside’s Fall/Autumn Labor Day Sale! 3) Log in your SheInside Publisher Program account and submit the link in "PP- $ 5 for the new members” in the “Submit Links” tab. 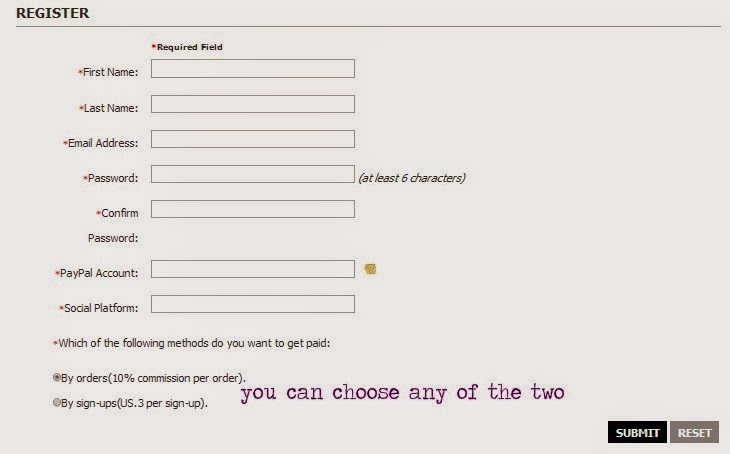 You will get $ 5 commissions on your their account as soon as you submit the link. 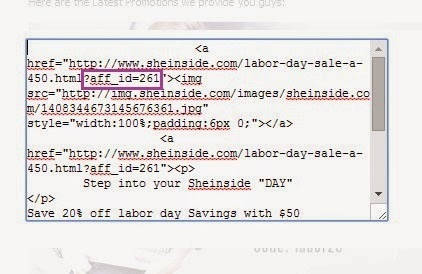 And you don't have to worry because for this submitted link, SheInside will not yet count the clicks and orders generated from your site. Not so hard right? 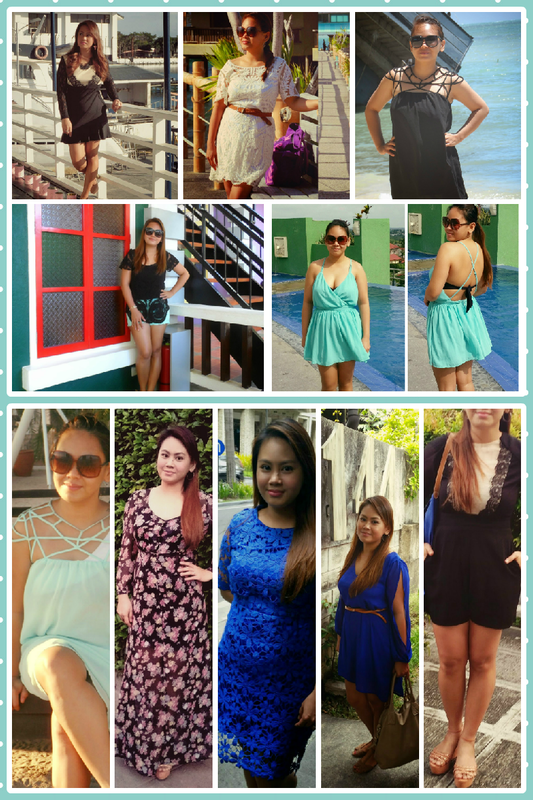 So what are you waiting for be a member now of the elite group of bloggers/promoter for the Sheinside Publisher Program.